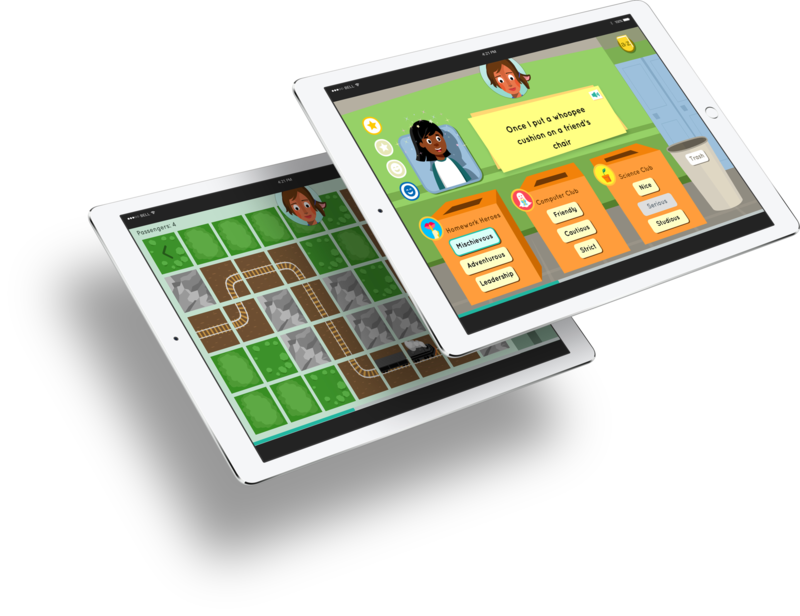 Amplify is a leading provider of game-based digital learning experiences for Kindergarten through 8th grade. They have pioneered digital personalized learning and formative assessments for more than three million students in all 50 states. 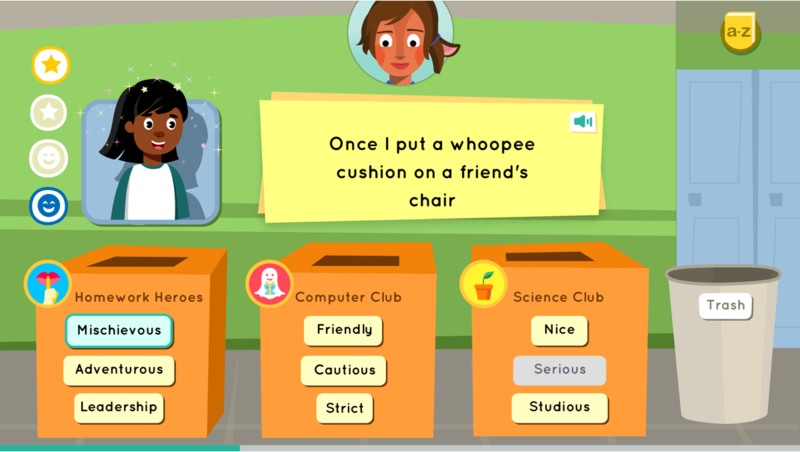 They needed two new games to plug into their English Language Arts (ELA) curriculum. Backpack conceived of, prototyped and designed the interactive learning experiences centered around helping young students build their vocabulary and better understand word syllables and phonemes. We provided UX and visual design for two of Amplify's high-end learning games. We partnered with them to create easy to use, elegant learning interfaces for children ages 5-8, aimed to build their language and emotional intelligence skills. 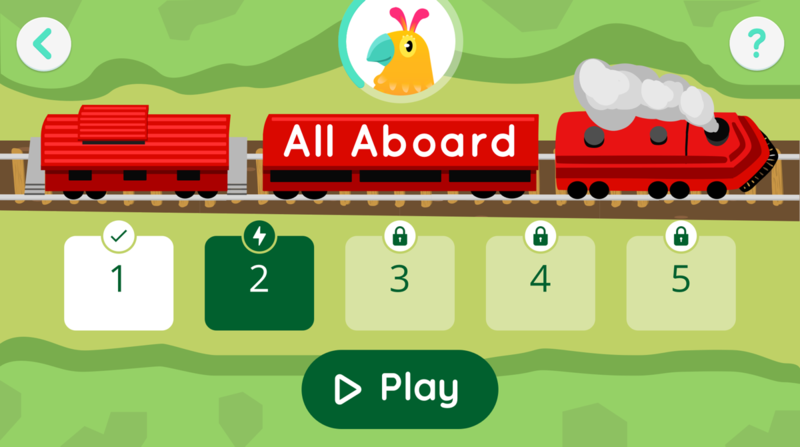 In this train-themed game, students learn to sound out word syllables and phonemes by selecting the corresponding number of train track segments. 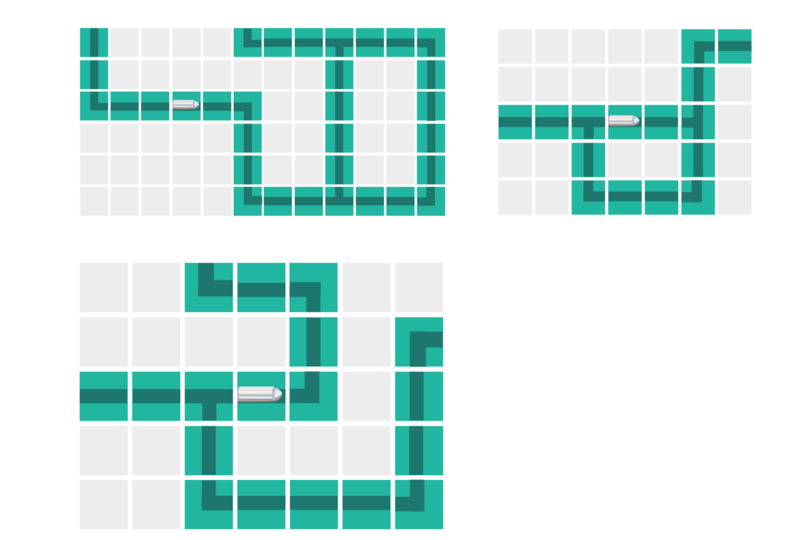 Once they have selected the matching number of sounds in the word and clicked “Go”, their train moves ahead the chosen number of segments. All Aboard was a hit with the students in usability testing. The game makes the potentially challenging concepts of syllables and phonemes simple and inviting for early learners. 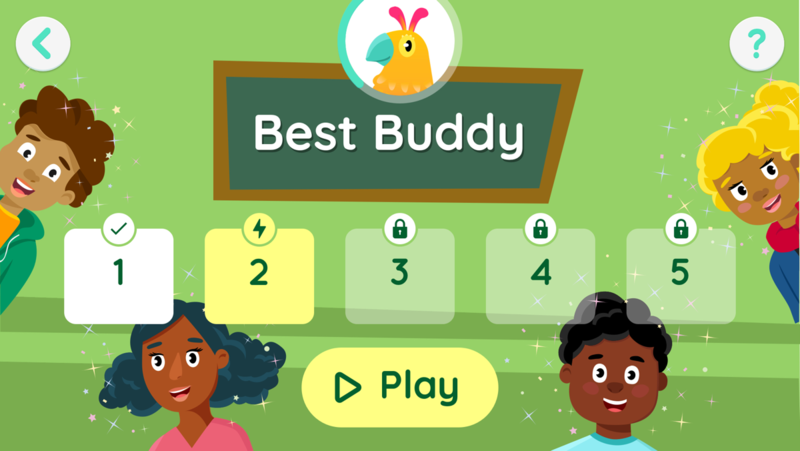 This educational game promotes both vocabulary skills and social-emotional learning for ages 6-8. 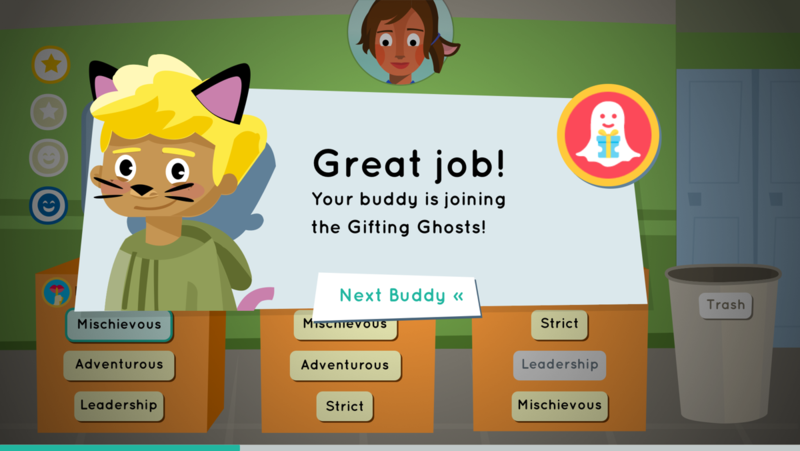 The player matches character traits to descriptions to show how well they “know” potential buddies. The more accurately they match each description to the characteristic, the happier they make the buddies. Eventually, they can add them to their collection of friends. 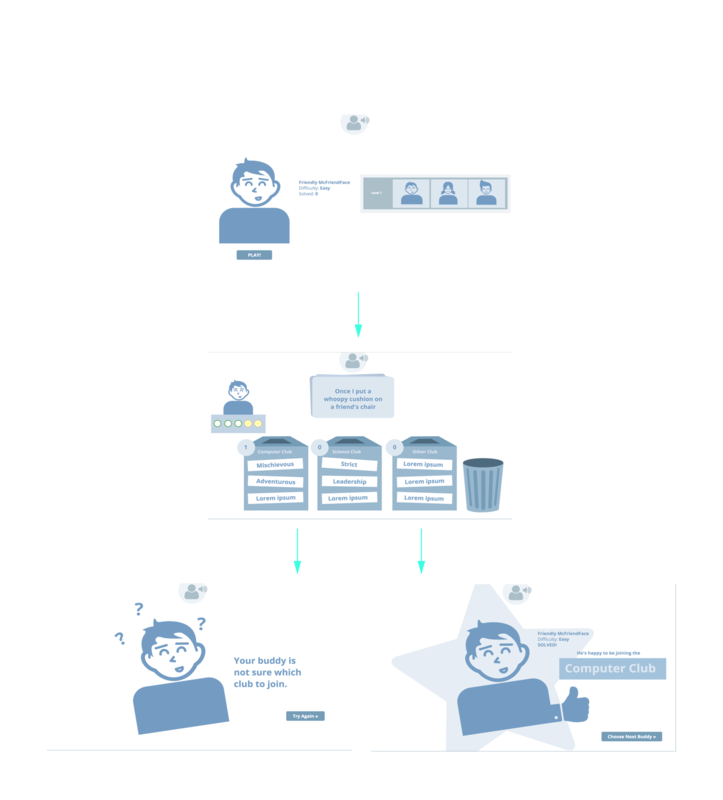 Best Buddy involves a number of nuanced learning principles that we wrapped into simple and fun gameplay.  Our UX process involved brainstorming, whiteboarding and prototyping until the game was simple enough that reading the directions was optional. Working with Amplify was exciting, and we leveraged their integrated user-testing systems. Throughout our UX and design process, they brought our prototypes into classrooms to test with real students to get quick reactions, allowing us to iterate and refine the design accordingly. This kind of rigorous usability analysis always results in a stronger, more relevant end product that truly serves its users. These games were developed with our technology partner, Atomic and the educational game wizards at Electric Fun Stuff. "Technology will never replace great teachers, but technology in the hands of great teachers is transformational"